This series stars Chuck Connors most famous for his Rifleman series shows . 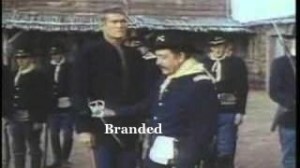 Branded was originally broadcast in 1965 and 1966. The whole town runs to a silver mine to get rich and leaves the town practically abandoned. A gang of robbers find it a convenient time to rob the bank, and the leader orders Deputy Marshal to not do anything! Chuck Connors, Johnny Crawford, Skip Homeier. This show comes from a time when all the MEN main characters on television were true heros always doing what was right ! Even when the chips were down and the cards were stacked against them ! These heros were not perfect BUT they gave us good examples to try and follow! This was a good time for American Television. 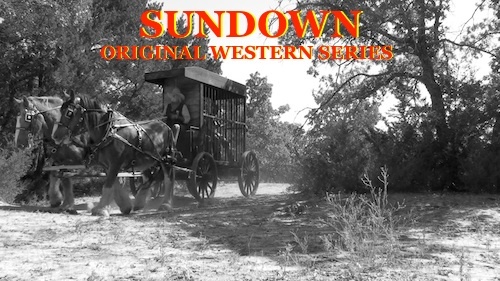 Travel with us as we travel all through the American west from the saloons to the jail houses here on westerns on the web . With all the Colts, cowboy boots, Stetson hats and Levi Jeans all made us little cowpokes want nothing but the best western toys. We would take our toys and head out into the west and our backyards would become Texas, Arizona, New Mexico, California or Wyoming . When summer would come we would long to take a vacation and travel to these far off distant lands. 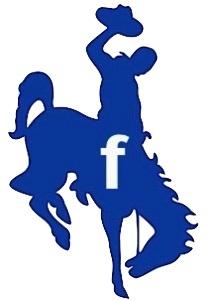 All of us kids of course wanted a horse to saddle and call our own maybe a Paint horse or Pinto or even a Palomino. Now with modern times and computer games we have seen western video games . 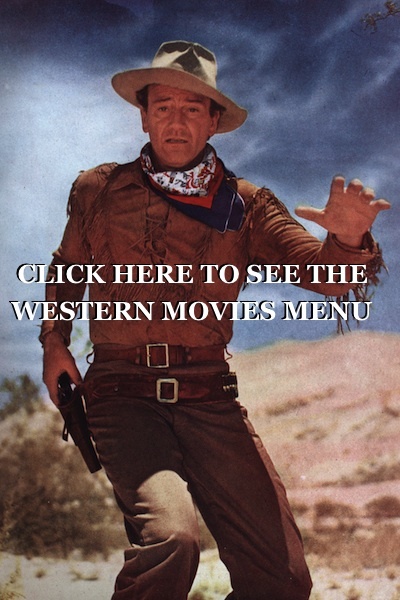 Here on westerns on the web you can take our movies and tv shows with you where ever you go . Now thanks to Apple computers all us grown up cowboys can put on our Levi Jeans pull on our Justin Boots put on a Stetson hat and hop in our Ford or Chevrolet pickup trucks and take all the wonderful western movies and TV shows with us to watch while waiting in line at our favorite Steakhouse or Mexican Food Restaurant or even in the waiting room at the doctors office or clinic and watch them on a hand held mobile device like an iphone or ipad or itouch or ipod. Or an android or droid. Or even a kindle or kindle fire. Times have really changed! But I would venture to say had it not been for all the wonderful western movies and television shows with all the cattle and spurs and chaps. Many of todays rodeo tickets would never be sold and the single action shooters and fast draw clubs would not even be around. And I would even say had it not been for the western television shows and movies even women’s Jewelry like Navajo or Zuni Indian turquoise and silver would not be as plentiful. But there are and we like it ! 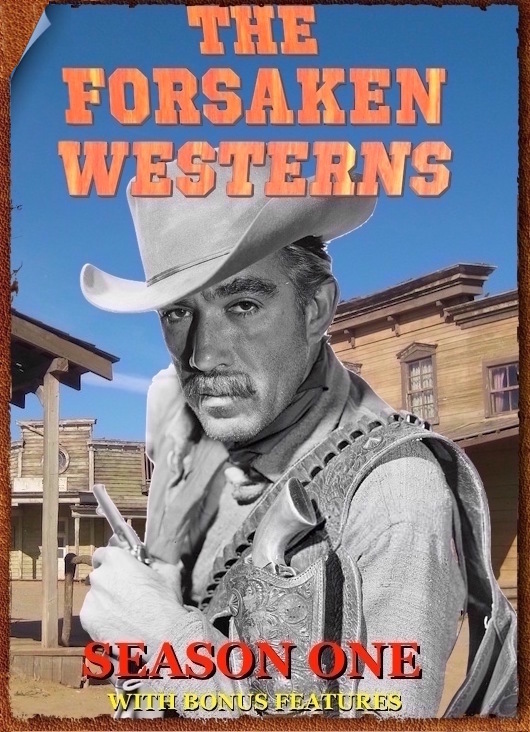 Bob Terry Westerns On The Web. I believe the man you saw as Iron Eyes Cody was actually Allen Jaffe. I’ve searched the cast for this episode and don’t come across Cody, but Jaffe looks a bit like him. It’s was great seeing this show again . Tv has really gotten bad lately with all the stupid reality shows . Makes me laugh when they took westerns off the tv because of the violence , westerns are supposed to be violent , what do they want them to do kiss each other . What about the violent tv shows that are on now . 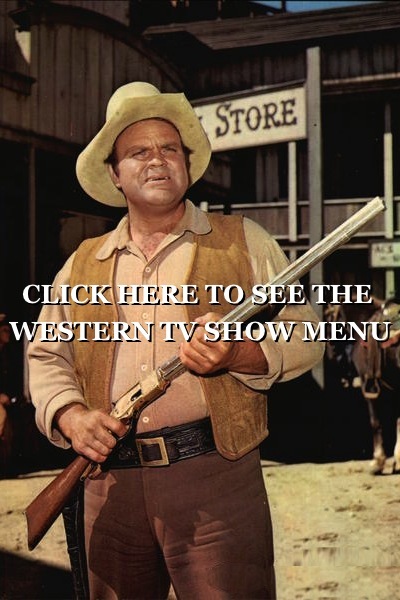 There are more violence on tv now then when the westerns was on . Wow! Bonus time: Guest star in this episode is a grown-up Johnny Crawford, the kid who played Chuck Connors’ son in “The Rifleman”. Double Bonus…not only Johnny Crawford, but you’ll see a young Iron Eyes Cody in this episode, playing a bad cowboy. Cody is remembered for one of the most famous TV commercials ever shot…the “single tear” spot for the Keep America Beautiful campaign as well as for dozens of less important but distinctive appearances in films and tv shows. Branded was a great show,when watching tv was an escape. These old westerns beat the blasted daylights outta these reality shows!